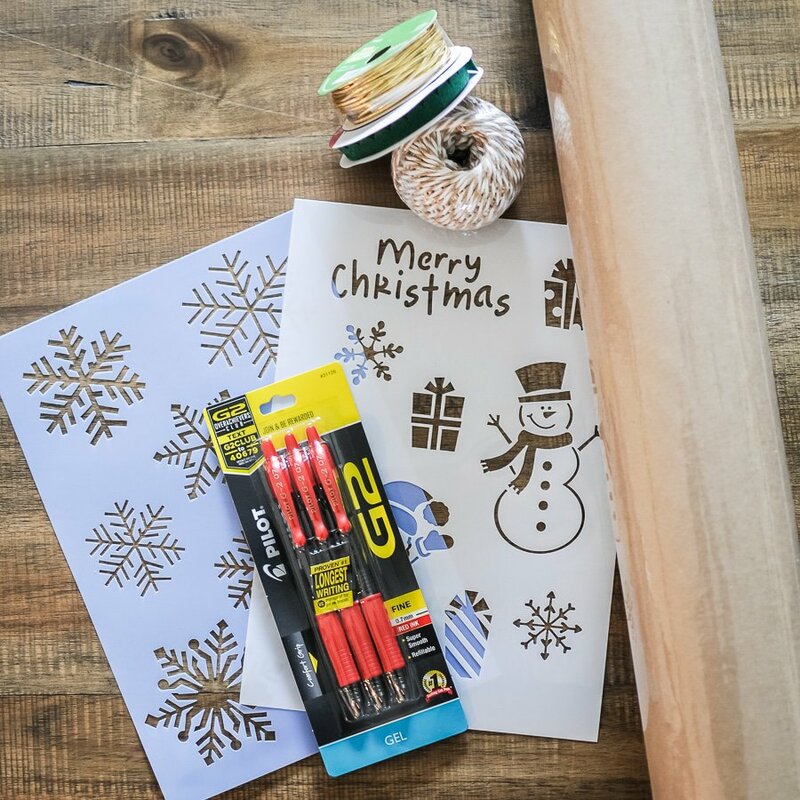 DIY wrapping paper is a simple and affordable way to add a personal touch to your gifts this holiday season! 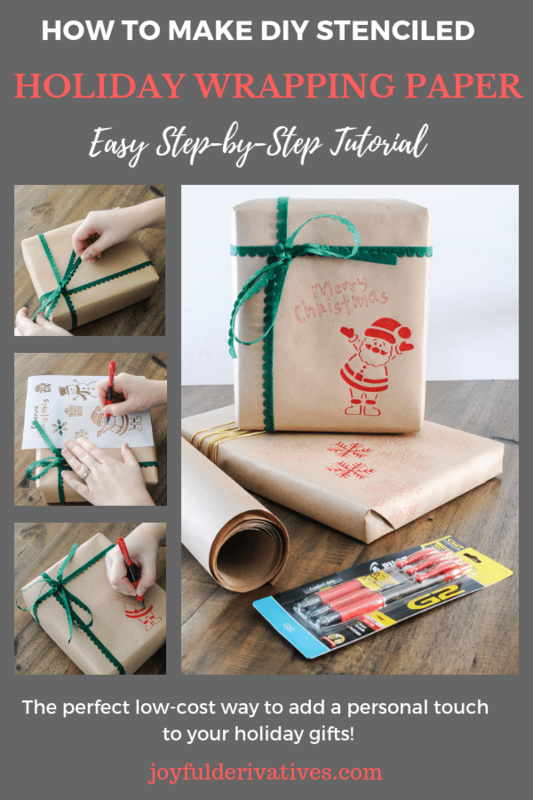 This easy-to-follow tutorial will show you exactly how to create your holiday DIY wrapping paper with just a few basic materials! I have been wrapping my gifts in low-cost brown craft paper for at least five years now. 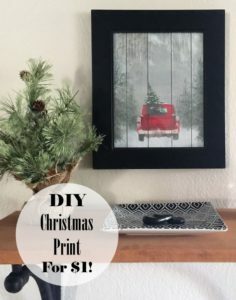 Not only is it cheap, but the fact that it’s neutral means it can easily be spruced up to match just about any holiday theme we decide to decorate with by adding colorful ribbon or creative tags. 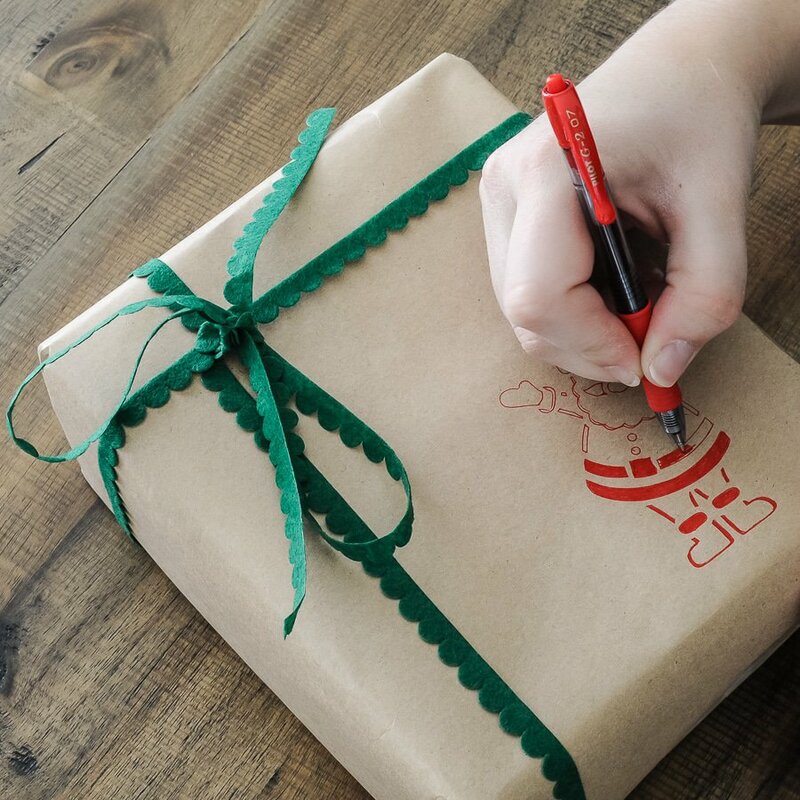 This year, rather than leave my gifts with just basic ribbon ties, I decided to try adding some personalized style to them using a Pilot G2® Roller Gel Pen and stencils! Wrapping gifts is one of my favorite parts of the holidays and I’ve always wanted to create my own holiday DIY wrapping paper. 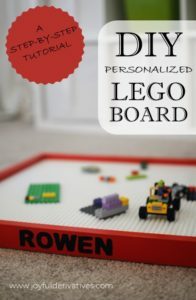 I had a great time making it and the best part about this project, as always with DIY projects, it’s fully customizable! You get to choose the color of paper, the ribbon, the color of pen, and the stencil. The options are endless! I hope you enjoy this easy-to-follow tutorial for creating DIY holiday wrapping paper! Hover over the image below to grab a Pilot G2® Roller Gel Pen for your project! 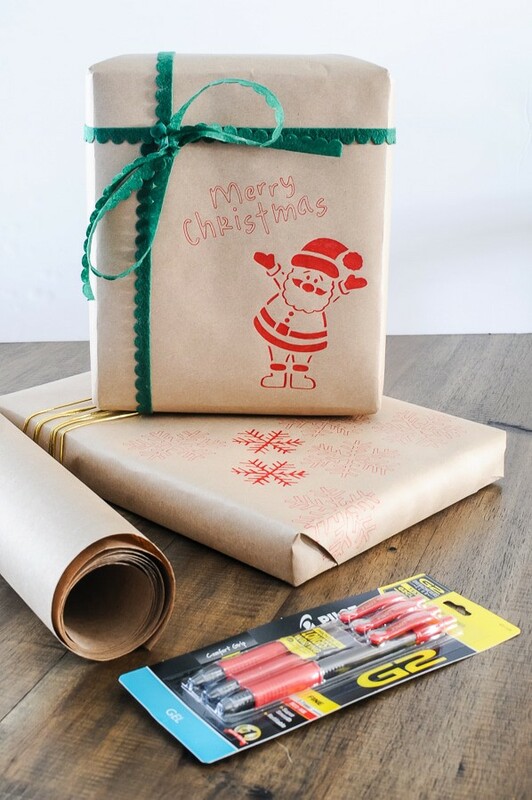 The first step in creating your holiday DIY wrapping paper is shopping for supplies. 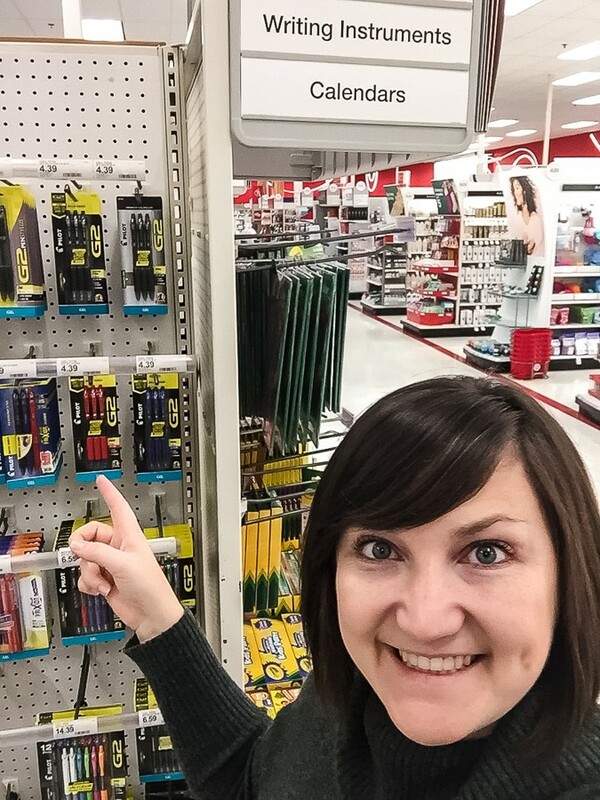 I went to Target for most of mine, including the Pilot G2® Roller Gel Pen, which was super easy to find at the end of the “Writing Instruments” aisle. Target was also kind enough to offer my readers 15% off any G2® Gel Ink Pen! Click here to grab your discount – but hurry, offer ends 12/31! Next, wrap your gift in the brown craft paper. 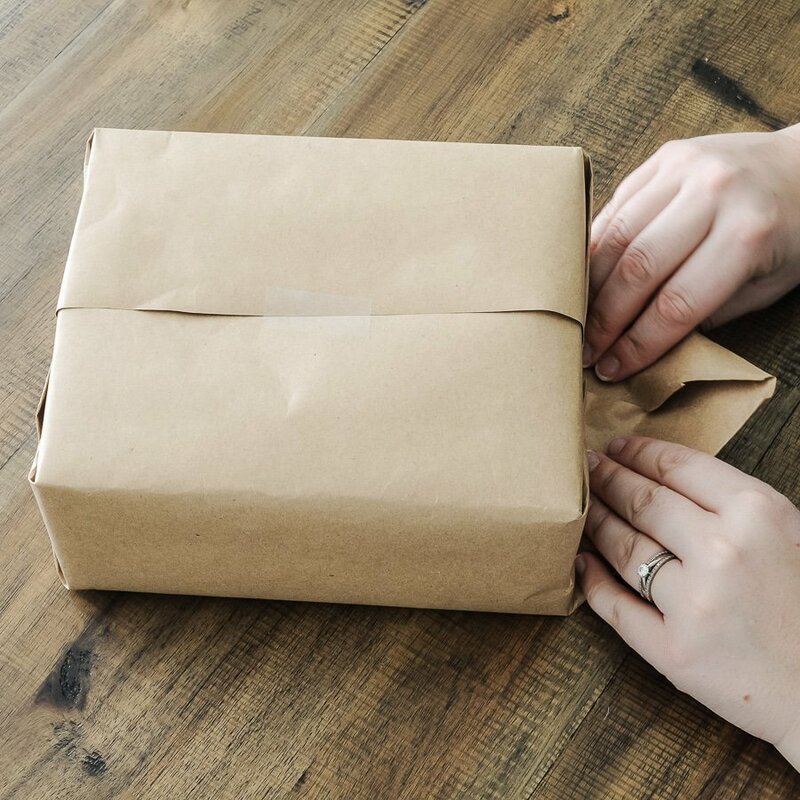 The stenciling technique works best on flat, firm surfaces, so I’d encourage you to place your gifts in gift boxes and then wrap the gift boxes in the paper. Next, tie some festive ribbon around the box. In order to leave room for the stenciling, try putting the ribbon bow in a corner or wrapping the ribbon around just one end of the box. Now comes the fun part! 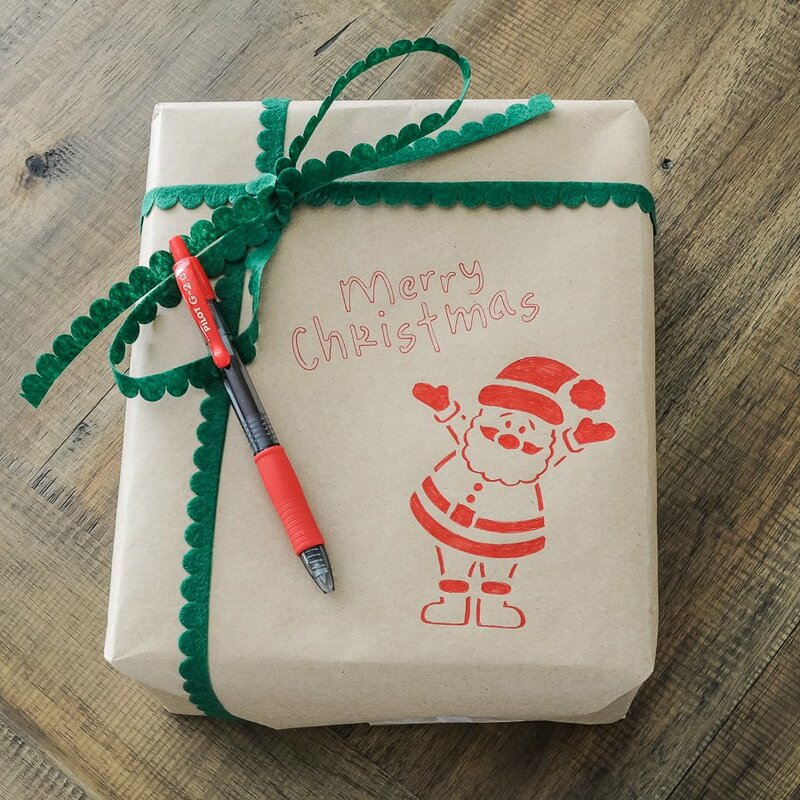 Trace your holiday stencils using your Pilot G2® Roller Gel Pen to add festive and creative art to your plain brown paper. The Pilot G2® Roller Gel Fine Pen is perfect for this project – it has really smooth gel ink that doesn’t smudge and runs along the stencils nicely. Now I know why G2® is the #1 selling gel ink brand in America! I look forward to using these pens on other projects too. 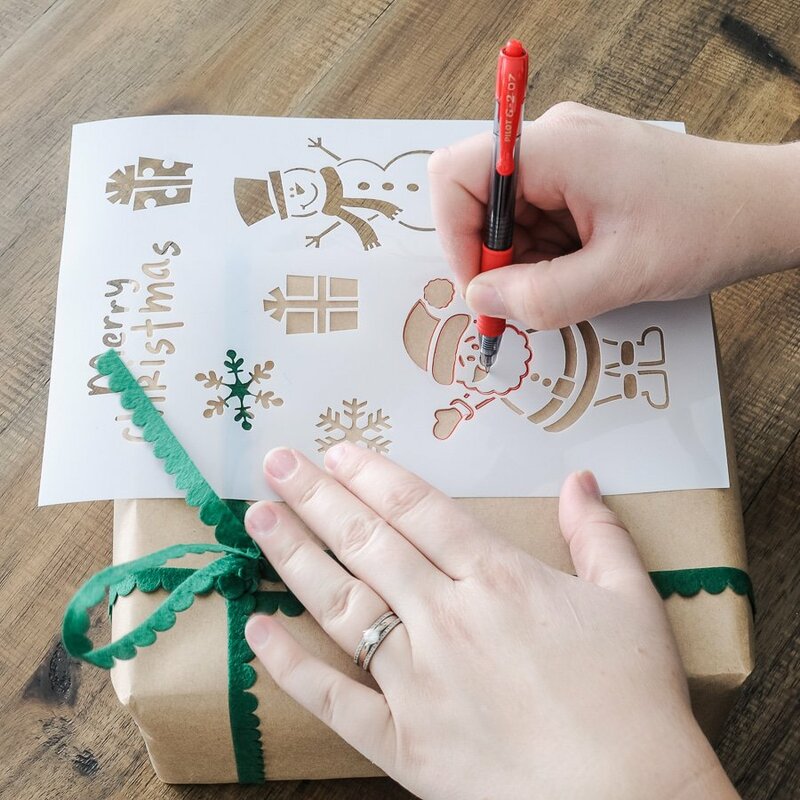 I chose to fill in parts of my stenciled drawings – like the Santa and a few snowflakes on my second gift – but that’s up to you. I found that the Pilot G2® Roller Gel Fine Pen did best coloring in smaller, more detailed sections of the stencil. And that’s it! 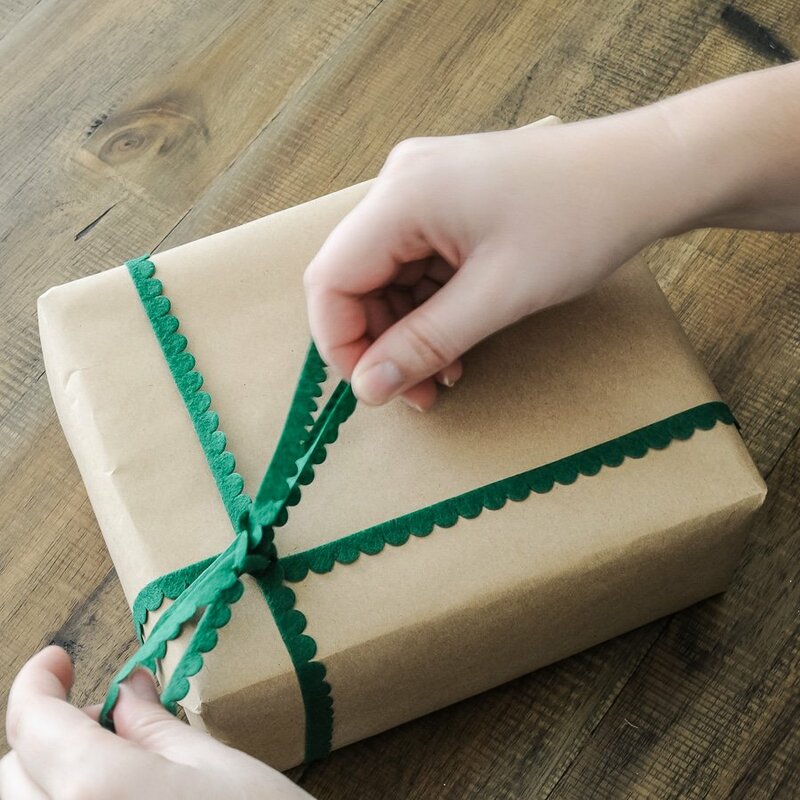 Four simple steps and you have a low-cost, fun and festive wrapped gift for your friend or family member. Add dimension to the art by coloring in just a few sections or wrapping the stencil around the edge like I did in my snowflake version. How do you personalize your gifts for the holidays? Share with me in the comments!